Young witch Salem Hyde is stubborn, impulsive, and loves flying. Her cat companion, Whammy, is nervous, careful, and loves staying on the ground. Somehow, though, they're best friends. 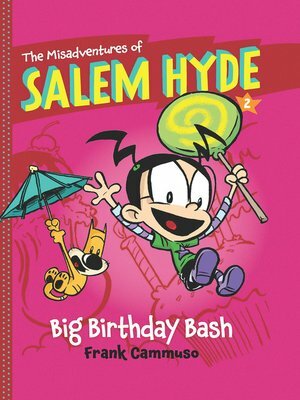 In this second book in the series, Salem is invited to a birthday party, and she wants to make sure everything goes perfectly. But from the invitations to the presents, party games, and spells gone awry, nothing happens exactly the way it should, and she'll need Whammy's help to sort it all out.